When I attended the Fall Cue Conference, I went to a session on coding. I thought it sounded really interesting and was something that my students would absolutely love. Just thinking about “coding” can be intimidating though. I am not very familiar with writing code myself, let alone teaching it to my students. 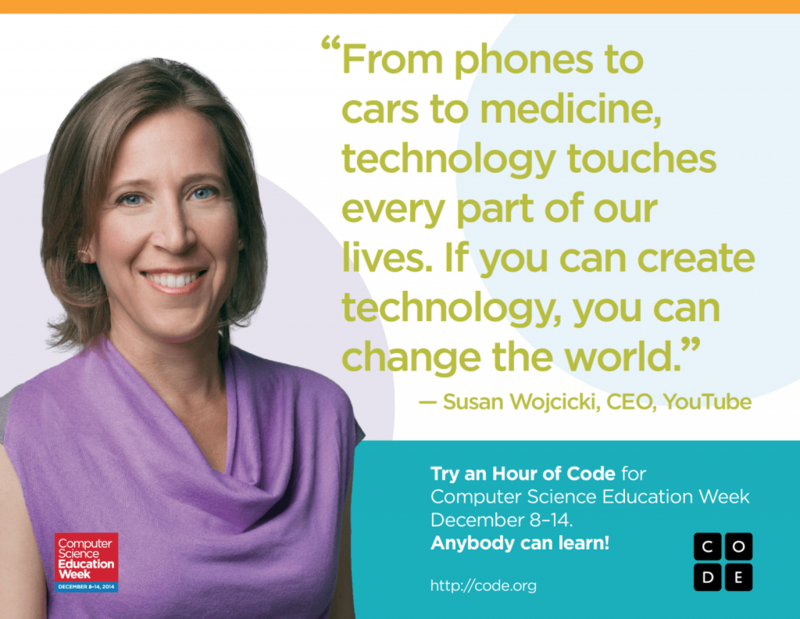 Well, this week is Computer Science Education Week and there is no better time or way to learn about coding than with Hour of Code! Now that my admin classes are finished for the semester, I had some spare time to explore the website last night and see if this was something I could do with my students. I was surprised to discover how simplified they made the coding process so that I (and my students!) could understand! We started off today watching this video that is a great introduction for Hour of Code. After showing my students the video, they got to practice coding! We used our class iPads and my students just typed in www.hourofcode.com. We don’t have quite enough iPads for each student to have their own, so some students worked together. 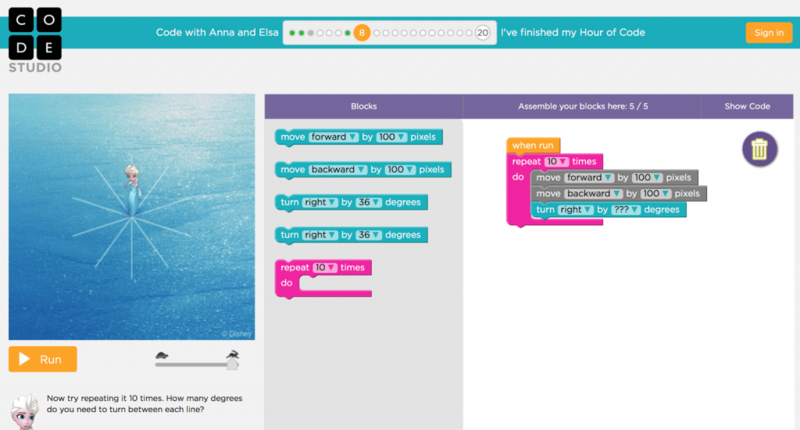 After clicking on “go” under Code with Anna and Elsa, students watched another short video about Blockly programing, which uses visual blocks that you can drag and drop to write programs. The video also explained basic information that they needed to get started. When they began coding, the screen was divided into three parts. The left side shows the pattern that they need to make, the middle shows the blocks they can choose from, and the right side is where they assemble the blocks to write to code. 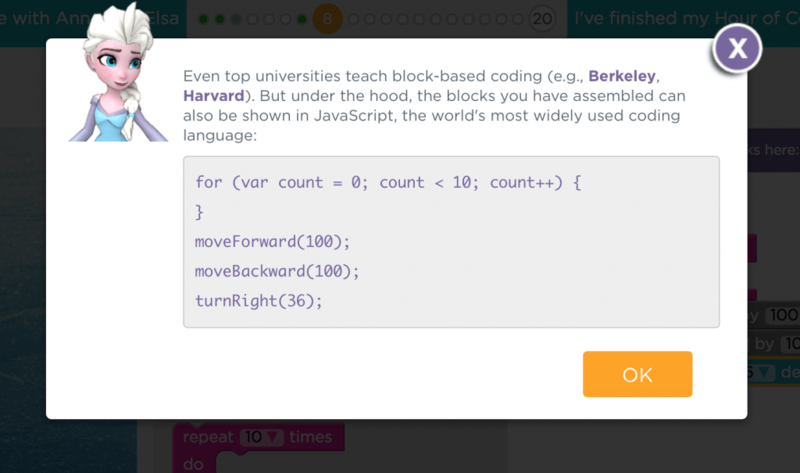 Students can click on “Show Code” in the top right corner to see what code they are writing. There is also an option to see the code after students complete each level! Hour of Code also has a great resources page with materials to show and distribute to your students and parents! I printed a couple posters that I am going to hang up outside my classroom to help spread the word to other students in our school! Even if you don’t have technology, you can still teach your students about coding! There are some great ideas for “unplugged” coding that you can do with your students! 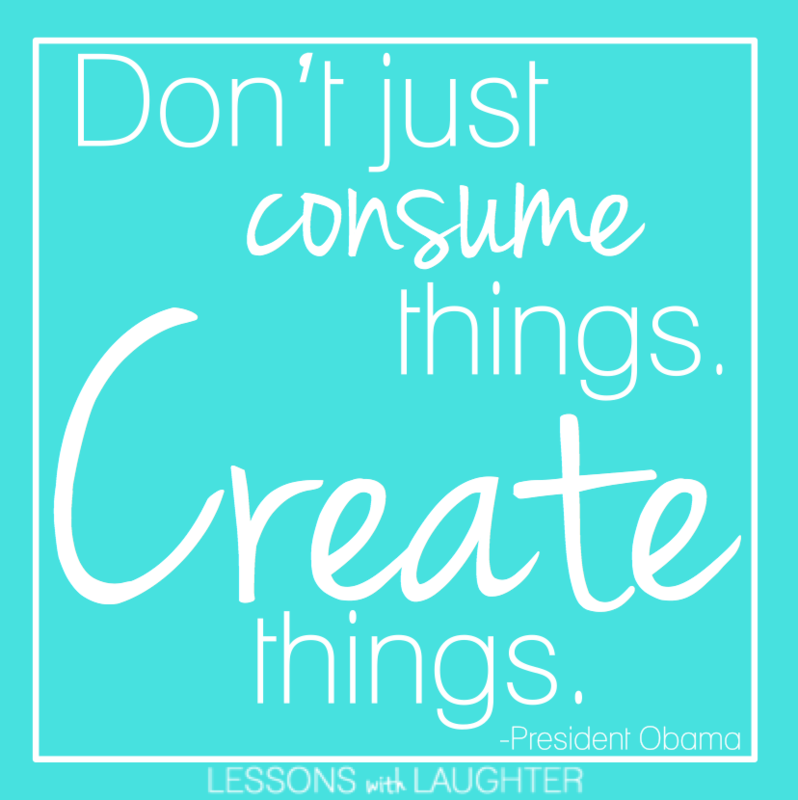 Check out these two ideas to get you started! I can’t say enough about how great Hour of Code was today for my students! We will definitely be doing more coding in our classroom! If you have a couple spare minutes after reading this post (and if you haven’t already!) 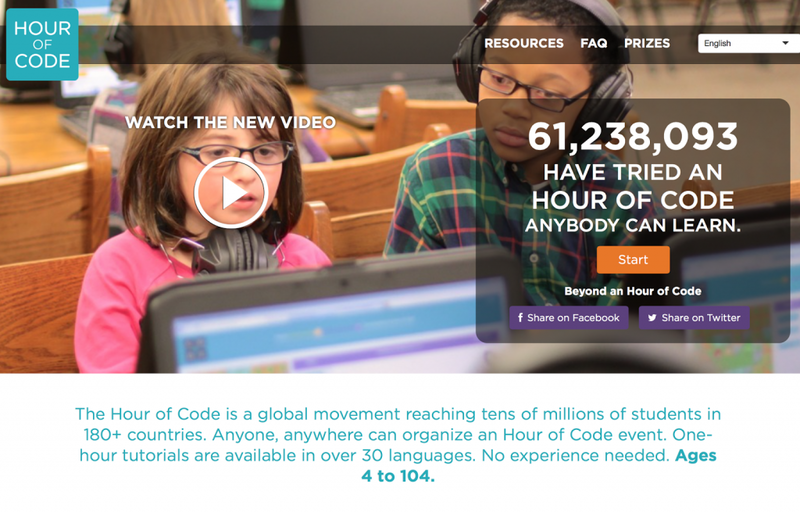 go check out the Hour of Code website and try coding yourself! 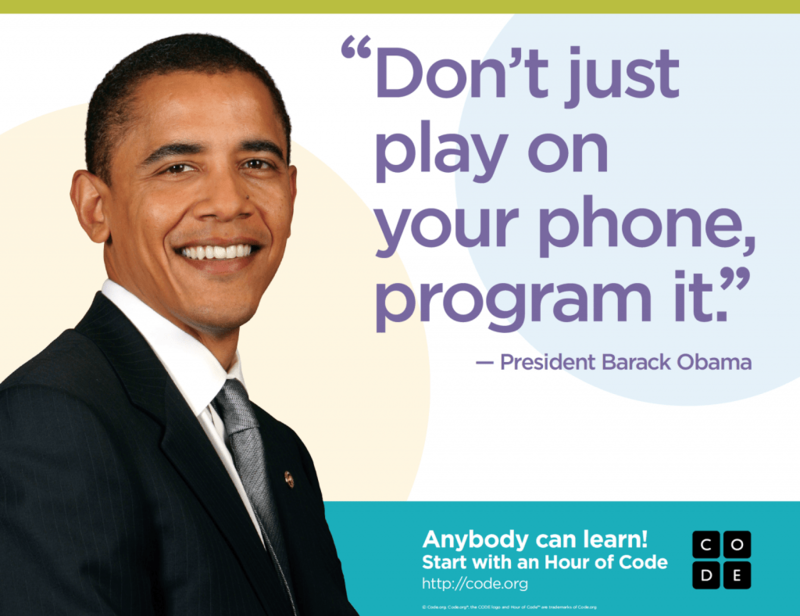 Will you be doing Hour of Code in your classroom this week? We did the Hour of Code today as well. The kids LOVED every.single.second of it. It was amazing!